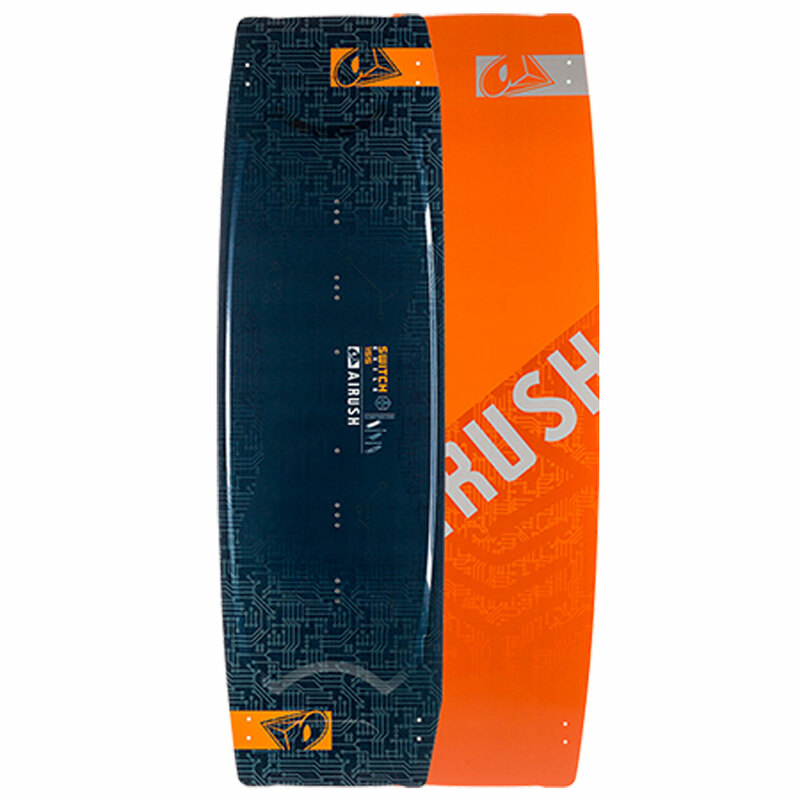 Home :: Kiteboard :: Boards :: Airush Switch Exile 145cm Kiteboard - Complete - SALE!! The Ultimate Twin Tip Lightwind Freeride Machine! For the Switch Exile, we have designed a board that is almost as wide in the tips as in the center, which allows for advanced immediate planning ability in light wind. The outline also features an asymmetrical shape with a curved toe side rail, making toe transitioning and carving on a board of this size incredibly smooth and easy. The Switch Exile board is surprisingly agile for its size, while maintaining its lightwind abilities. This year the Exile is supplied with an extra set of two Metro 40 fins to allow for extra rail bite and upwind ability.